Dhaka: Police in Bangladesh said on Tuesday they had arrested the IT chief of a banned terrorist Islamist group that has been blamed for the killing of several secular bloggers and gay rights activists. 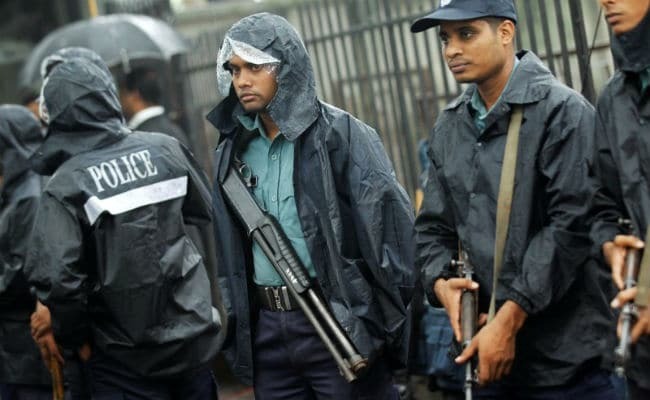 The suspected terrorist identified as Ashfaqur Rahman, worked as the IT head of the al Qaeda-inspired militant group Ansarullah Bangla Team, the chief of Bangladesh's counter-terrorism police, Monirul Islam, told a news conference. Rahman was arrested late on Monday in the capital, Dhaka, he added, as the handcuffed man was paraded before the media. Islam said Rahman was a close aide of the group's head of military operations, former army major Syed Mohammad Ziaul Haque, who went into hiding after the Bangladesh military accused him of involvement in a plot to topple the government in 2011. Rahman, who joined the militant group while studying computer science at university, used to gather information including the movements of targeted bloggers by hacking into their social media accounts, Islam said. The authorities blame Ansarullah Bangla Team for a series of attacks since February 2015 in which at least five bloggers, a publisher and two gay rights activists were hacked to death. Al Qaeda and Islamic State have claimed responsibility for killings of foreigners, liberals and members of religious minorities in Bangladesh, a majority-Muslim nation of 160 million people, over the past few years. The government denies either group has a presence in Bangladesh, blaming home-grown groups instead. Police and army commandos have killed more than 60 suspected terrorists and arrested hundreds since a deadly attack on a Dhaka cafe in July last year. Twenty-two people were killed, most of them foreigners.